SARAH ELIZA: Worth a Look. In one of my previous posts about my Instagram, I mention about doing a post on my favourite accounts and I thought I'd share a few with you today! 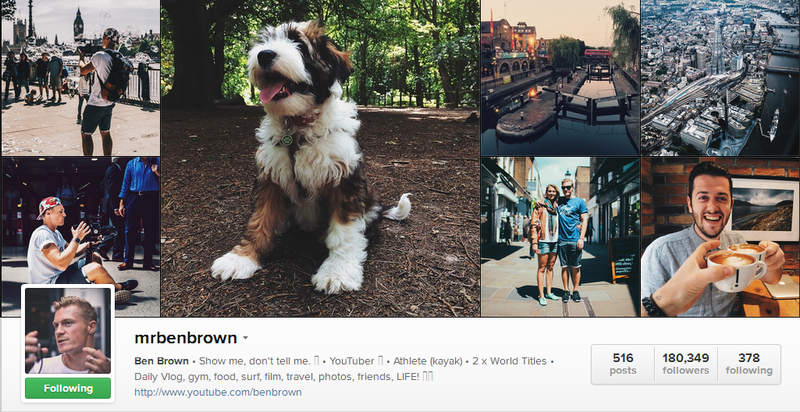 Ben is actually a youtuber and that's how I discovered his instagram. Even the most simplest of photos, like a regular coffee, is so well taken and edited. He takes care in the photos he includes from just a day in London to his adventures abroad in places such as South Africa and, most recently, Costa Rica. Among his many skills of owning his own clothing brand and film making, his photography is one that I take a lot of inspiration from when taking photos myself. His photography is something that has not only inspired me to get me creative with my photography but also travel and he's the main inspiration for me and my family deciding to travel to a few countries in Europe this summer. Alex is another account that seems to have an enormous amount of followers and they are well deserved with his amazing photography consisting mainly of hills and lakes. Some of my favourites are those that are so well taken that you can see the reflection of the hills in the tranquil, still lake.He posts mainly landscapes that are taken to show certain places in their best angles. You can tell he takes great care in showing off his greatest photos on instagram and to showcase the best of his amazing talent. Gregory's photos are one that I could look at for ages. I love the way a lot of his photos go by the same theme of a landscape and a person and they add a lot of personality to the photo. The Gregory's photos are edited is probably my favourite of all the instagram accounts I follow and he's an account who deserves as many followers as those accounts already mentioned. Ana is a wife and mum and she still finds the time to create some amazing photography. He pictures a mixture when referring to what they include but they are all very simplistic and have a slight rustic feel to them. It is an account that is very different to the others that I follow but I really love the photos she posts! So, here is just a few of my favourite Instagram feeds that I follow. 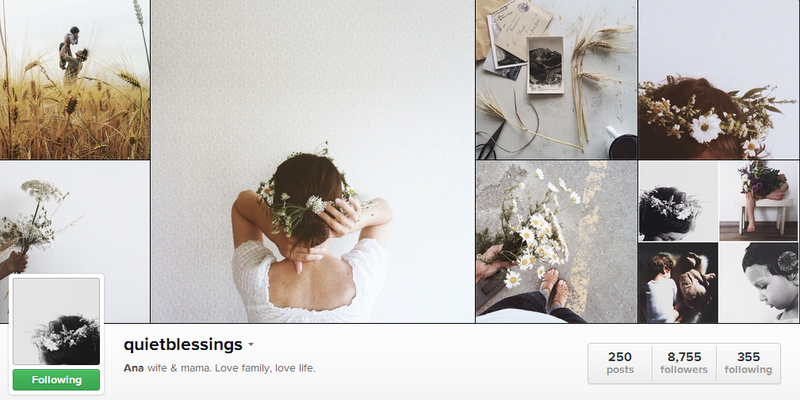 What's you Instagram and who are a few of your favourite accounts? Thanks for sharing these accounts. Great post. Wish to check out my blog.